Home › Blog › What is the role of high voltage cable? What is the role of high voltage cable? 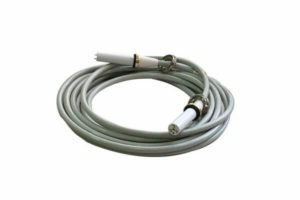 The Newheek high voltage cable is the cable between the connecting tube and the high voltage generator. 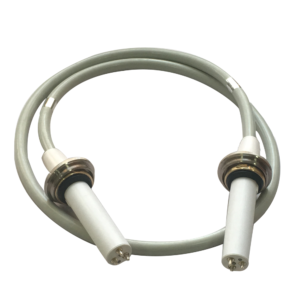 Newheek high voltage cable is commonly used in U-arm, C-arm, filming machines, pet X-ray machines and mammography machines. There are currently two types of high voltage cables, one is 75KV and the other is 90KV. 75KV means that the high voltage value of one end of the cable is 75KV, and one high voltage cable is divided into two ends, that is, the whole high voltage cable value is 75KV*2=150KV. The same reason 90KV means that the high voltage value of one end of the cable is 90KV. The value of the whole cable is 180KV. The 75KV high voltage cable is suitable for 125KV X-ray machines. The 125KV here refers to the high pressure resistance of the tube. The same 90KV high voltage cable is suitable for 150KV X-ray machines. √ For medical applications, such as x-ray machine, DR, CT etc. √ From basic radiography systems to high performance systems. √ Customized for highest flexibility. √ Every cable length available. If you want to know more about Newheek high voltage cable, please contact our customer service. What are the protective materials for x ray high voltage cable?